Are You Making These Four Simple Local SEO Mistakes? As a business owner you know how important your online presence is with the vast majority of consumers searching for products and services on the Internet. And the best way to get them through the doors of your brick-n-mortar business is by getting them to your business online first. Are you preventing consumers from finding you by making some of these simple mistakes in your local SEO? Let’s look at what the mistakes are and how you can correct or avoid them. Your website represents your business as much as, if not more than, your physical location and there are several issues that plague many business websites and keep visitors away. These are all fairly easy to correct with just some time and a little effort but will make a big different in your online presence. Other items that affect the quality of a website are spelling, grammatical errors and irrelevant content on pages. These items may seem small in the big picture, but they all make a difference in your local SEO presence and placement in search results. As mentioned previously, you must create relevant content because the quality of your content is one of the most important aspects of local SEO. Search engine algorithms detect irrelevant and poor quality content, so you should never, ever have content on your website that is there just because you need a filler. Make sure the content you have in your website has a clear purpose and provides valuable information to your readers. You also don’t want your website to appear neglected or overlooked by search engines because you are not publishing or making changes regularly. Be sure you create a solid content marketing plan and that you are following the plan. Brick-n-mortar businesses definitely need to have an optimized Google My Business Listing. You need to be sure to have your citation data 100% accurate, a verified listing and linking to your website. Google My Business is tied to the most powerful search engine in the world and if you’re not using this directory, then your brand is making a big mistake. There are hundreds of listing directories to choose from when deciding where to list your business information including Google My Business, Yahoo Local and Bing places to name a few. While listing your business with each one all at once can be a daunting task, you can start by at least getting listed on some of the bigger sites. There are a number of services out there that can help you with the submission and management of your business listings to the data aggregators which in turn feed that information to the array of directory listing sites where your business listing information, or NAP (Name, Address, Phone number), might be listed. Once your business is listed, it is important that this data is correct. If all the listings match it is considered accurate and your business listing is more likely to be found in search results. If your business listings don’t match then your business may not come up in a search at all, or the wrong information may come up. 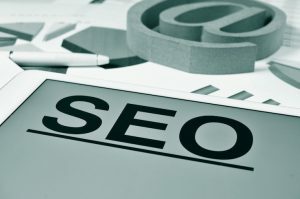 Either of those can negatively affect your business and local SEO. You can check your listings right now by running a free online visibility report. These are some of the more common SEO mistakes anyone could easily make. Home BlogAre You Making These Four Simple Local SEO Mistakes?